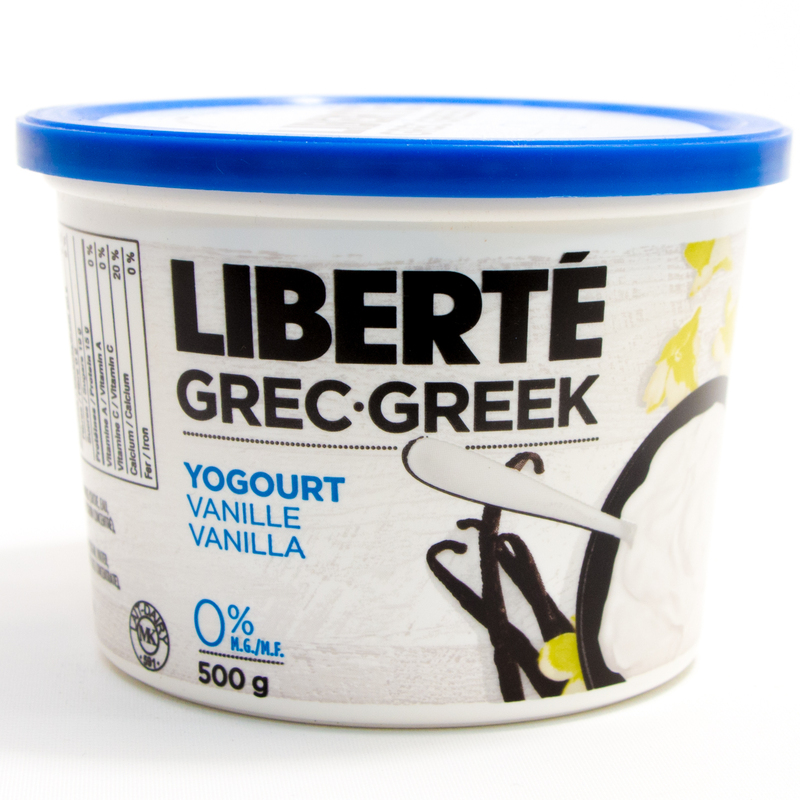 A type of yogurt crafted using traditional Greek methods. 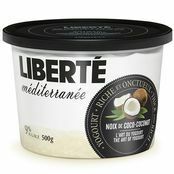 A yogurt strained according to the principles of old-time cheesecloth draining, which gives it an incredibly rich and creamy texture and one that’s absolutely free of fat. As surprising as it is delicious. 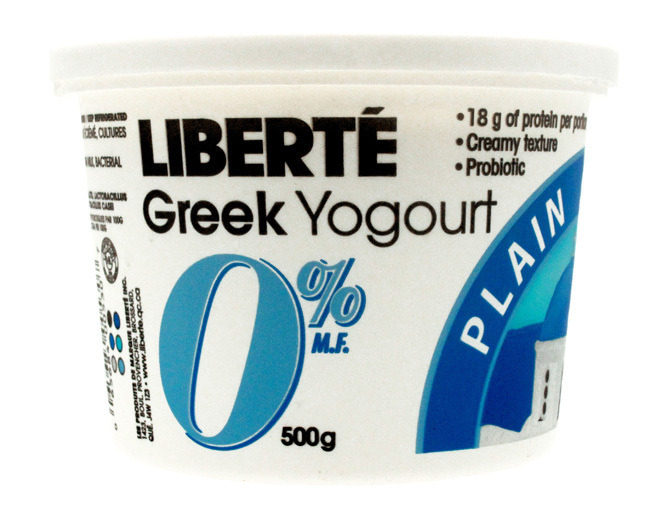 Requiring three times more milk than a regular yogurt, Greek yogurt also contains twice the protein of any other regular yogurt. 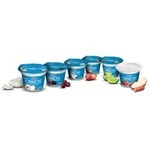 It’s an excellent source of energy and the perfect choice for a low-fat diet. Liberte is my number one yogurt choice, I don’t usually buy anything else. Caragenan is not listed in their ingredients which is a huge buying factor for me. 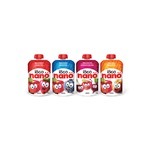 The flavors are great, and I feel the value is good for the product you’re receiving. 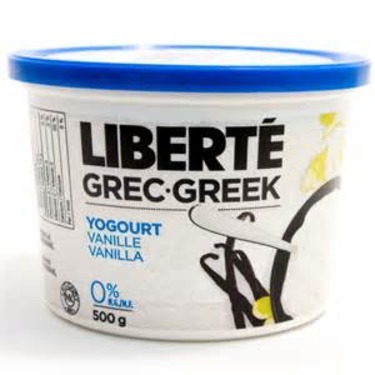 I am a total yogurt snob. I need my yogurt to have the right amount of tang and sweet as well as a thick texture. This yogurt does not disappoint in all of these departments! 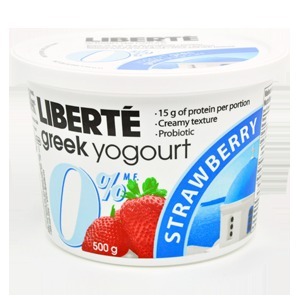 It is one of the smoothest and thickest yogurts I buy and it does not become watery like some other greek yogurts i have had before. The protein content is amazing in it since it's a greek yogurt and if you choose the plain version, it is a healthy snack. 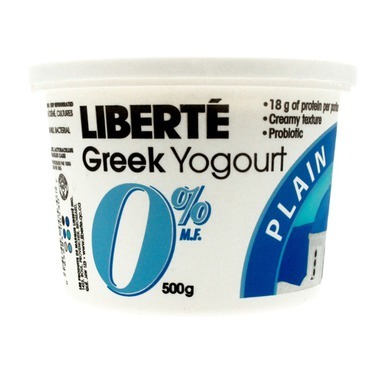 The taste and texture of this Greek yogurt is pretty good, and having the 0% fat lactose free option is nice as I haven’t seen it from other brands. Definitely would buy again. I enjoy the thickness of this yogurt. I usually buy the plain flavor and add my own stuff to it. Taste great. I have been giving it to my toddler, who loves it. First I love that it uses minimal ingredients. Only what is necessary with nothing extra added. It’s made properly so it’s nice and thick with great flavour. It’s also so versatile and can be used in place of sour cream when cooking.